Indianapolis is the capital of the U.S. state of Indiana, and the county seat of Marion County, Indiana. The United States Census estimated the city's population, excluding the included towns, at 798,382 in 2008. It is Indiana's largest city and is the 14th largest city in the U.S., the third largest city in the Midwest (behind Chicago and Detroit), and the second most populous state capital (behind Phoenix, Arizona). It is one of two state capitals that shares its name with its state (The other is Oklahoma City). Indianapolis is very diverse in character which includes much more than lakes and farmland. Many historical sites, professional sports, inviting forests, varied collections of fine art, and attractions ranging small zoos to large theme parks and numerous museums. Indianapolis is the only metropolitan city with a state park located in its city limits, which is just one of the many fun little quirks about this 'Big City' located in the heart of the Midwest. If a person is willing to walk a few blocks in any direction, Indianapolis is the city to visit because you can see and do it all without needing the hassle of city driving or public transportation; however, busses and cabs are available and easy to use if you have the desire- and it's not a horrible city to drive in, either! Not only is White River State Park located inside the city, just a few blocks from the new Lucas Oil Stadium, , but there are lots of historical sites, great restaurants, and other fun things to do nearby. Indianapolis can be broken into 4 quadrants, with the center of the city being the famous Monument Circle, at the heart of the city. Lucas Oil Stadium is located in the southwest quad, and within easy walking distance to the North West is Victory Field (home of the Indianapolis Indians), the Capital Building, the Indiana Government Center, the State park, and the Indiana State Museum and its IMAX theater. The historic Union Station, Monument Circle, Conseco Field House, Crackers Comedy Club, and the beautiful Circle Centre Mall are a nice walk to the north east of the Stadium. Of course, the Indiana Convention Center is right across the street from Lucas Oil Stadium. There are four major interstates - I-65, I-69, I-70, and I-74 - which all lead into the city, which is completely encircled by I-465. The Indianapolis International Airport is only about a 10 minute drive from downtown via I-70 and is easily accessible. In 2010, Lucas Oil Stadium will be connected to the Convention center, shopping areas, as well as hotels, all through a pedestrian foot walk. For much of its history, Indianapolis oriented itself around government and industry, particularly manufacturing. Today, Indianapolis has a much more diversified economy, contributing to the fields of education, health care, and finance. Tourism is also a vital part of the economy of Indianapolis, and the city plays host to numerous conventions and sporting events. Of these, perhaps the most well known is the annual Indianapolis 500 mile race. Other major sporting events include the Allstate 400 at the Brickyard (formerly the "Brickyard 400") and the Men's and Women's NCAA Basketball Tournaments. Indianapolis is filled with many historical sites, professional sports, inviting forests, varied collections of fine art, and attractions ranging from small zoos to large theme parks and numerous museums. Interesting architecture is found all over Indianapolis! For fans of swimming and cycling, there's the Natatorium with one of the country's most sophisticated swimming and diving pools. The Natatorium is located on the IUPUI campus and has been proclaimed the fastest pool in the world. Seventy-nine American and ten world records have been broken here. Athletes from around the world dream of competing at the Natatorium and it is available to all who recognize swimming as both an excellent exercise and fun; and we also have the Taylor Velodrome for cyclists. Greater Indianapolis has seen moderate growth among U.S. cities, especially in nearby Hamilton, Hendricks, and Johnson counties. The population of the metropolitan statistical area is estimated at 1,715,459, making it the 33rd-largest in the U.S. The combined statistical area population of Indianapolis is 2,035,327, the 23rd-largest in the U.S. Native Americans who lived in the area included the Miami and Lenape (or Delaware) tribes, who were removed from the area by the early 1820s. Indianapolis was selected as the site of the new state capital in 1820. Four square miles were allotted for the city, yet was plotted an area of only one square mile because it seemed inconceivable that the capital would ever be any larger. While most American state capitals tend to be located in the central region of their respective states, Indianapolis is the only capital to be in the exact center of its state. Jeremiah Sullivan, a judge of the Indiana Supreme Court, invented the name Indianapolis by joining Indiana with polis, the Greek word for city; literally, Indianapolis means "Indiana City". The city was founded on the White River under the incorrect assumption that the river would serve as a major transportation artery; however, the waterway was too sandy and shallow for trade. In 1825 the state government brought in many jobs and people, and the National Road (US 40) stimulated more growth when it came through in 1834. However, not until the Central Canal was built on the White River in 1836 did industry come to town. The construction of the Central Canal from Broad Ripple to Indianapolis seemed to solve the problem temporarily, but the canal turned out to be useless when water volume decreased. The canal provided the transportation link and water power needed to run factories, paper mills and sawmills. But the soft, muddy shores of the White River were too fluid to maintain the canal, and without a water supply, the mills and factories left. The routing of the national highway through the center of Indianapolis in 1831 provided a more permanent solution, fulfilling the original purpose of the city's location. In 1847, the year Indianapolis was incorporated as a city, the Madison & Indianapolis Railroad arrived, soon to be followed by seven additional major rail lines, which gave the city access to the Ohio River. The capital moved from Corydon on January 10, 1825 and the state commissioned Alexander Ralston to design the new capital city. Ralston was an apprentice to the French architect Pierre L'Enfant, and he helped L'Enfant plan Washington, DC. The third building to house the seat of government was the old Marion County courthouse. While the State House location had remained fixed since 1835, the original building no longer stands as it was torn down and replaced in the early twentieth century. The fourth building replaced it in 1888; a structure inspired by the Parthenon and is the State House in use today. However almost one hundred years later the building was condemned in 1877 because of structural defects and razed; extensively renovated, so the current statehouse could be built on its location. Ralston's original plan for Indianapolis called for a city of only one square mile (3 km²). At the center of the city sat Governor's Circle, a large circular commons, which was to be the site of the governor's mansion. Meridian and Market Streets converge at the Circle and continue north and south and east and west, respectively. The governor's mansion was eventually demolished in 1857 and in its place stands a 284-foot (87 m) tall neoclassical limestone and bronze monument, the Indiana Soldiers' and Sailors' Monument. The surrounding street is now known as Monument Circle. The city lies on the original east-west National Road. The first railroad to service Indianapolis, the Madison & Indianapolis, began operation on October 1, 1847, and subsequent railroad connections made expansive growth possible. Indianapolis was the home of the first Union Station, or common rail passenger terminal, in the United States. Indianapolis has had one of the largest networks of railroads in the nation, and where hundreds of trains passed through daily. The Wholesale District was of primary importance in the transformation of Indianapolis from small town to big city as a central location for buying items at wholesale prices. With Union Station nearby, wholesalers could ship goods more cheaply and more easily. By the turn of the century, Indianapolis had become a large automobile manufacturer, rivaling the likes of Detroit. With roads leading out of the city in all directions, Indianapolis became a major hub of regional transport connecting to Chicago, Louisville, Cincinnati, Columbus, Detroit, Cleveland and St. Louis, befitting the capital of a state whose nickname is "The Crossroads of America," intersected by more interstate highways than any other city. This same network of roads would allow quick and easy access to suburban areas in future years. It is within one day's drive from many other major American cities. Because it is centrally located, Indianapolis is only one or two hours by air from New York City, Boston, Washington, D.C., Miami, Atlanta, Chicago, Denver and other cities in the East, South and Midwest. On the eve of the Civil War the population, aided by an influx of German immigrants, had increased to 18,611 people; the city now provided modern services and supported a stable, manufacturing-based economy. With 24 army camps and a large ammunition plant, Indianapolis became a major wartime center for Union campaigns on the western front. Progress continued into the postwar period only to be set back by the inflationary recession of 1873. During the last two decades of the nineteenth century, Indianapolis experienced a period of growth known as the "golden age." It became, in 1881, one of the first American cities to install electric street lighting. Many downtown landmarks were erected in an explosion of public architecture that helped establish the city's identity. 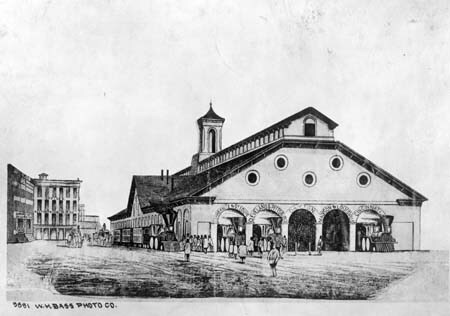 A new market, a new statehouse, and Union Station were completed in the late 1880s. The neglected Circle Park had deteriorated and was revived when the Soldiers' and Sailors' Monument was constructed in honor of the people who served in the Civil War. During this period, wealthy citizens built palatial Victorian homes on North Meridian Street, and as the result of the growth of new neighborhoods and suburbs along tree-lined avenues, Indianapolis became known as the "city of homes." Indianapolis had become a sophisticated city with sidewalks, streetlights, streetcars, and musical and literary organizations. The most significant development was the Indianapolis Motor Speedway, a 2.5-mile oval track, which was inaugurated in 1911 when a car named the Marmon Wasp. With Ray Harroun driving, won the very first Indianapolis 500 Race in 1911. The Indianapolis 500, held on Memorial Day weekend each year, has since become one of the premier international sporting events, drawing world-wide attention. Indianapolis was a major industrial center by 1920, with a population of more than 300,000 people, yet retained much of its small-town ambience. City population grew rapidly throughout the first half of the 20th century. By 1920 Indianapolis had become an important industrial city, with a population of 300,000. However, the 1920s were marred by the rise to prominence of the Ku Klux Klan in the city's political and social life, but the Klan's power had declined by the 1930s. During the Great Depression of the 1930s, the Public Works Administration oversaw the construction of Lockfield Gardens, one of the nation's first public housing developments. While rapid suburbanization began to take place in the second half of the century, race relations deteriorated. Even so, on the night that Martin Luther King, Jr. was assassinated, Indianapolis was the only major city in which rioting did not occur. Many credit the speech by Robert F. Kennedy, who was in town campaigning for President that night, for helping to calm the tensions. Racial tensions heightened in 1970 with the passage of Unigov, which further isolated the middle class from Indianapolis's growing African American community. Court-ordered school desegregation busing by Judge S. Hugh Dillon was also a controversial change. In the 1970s and 1980s, Indianapolis suffered at the hands of urban decay and white flight. Major revitalization of the city's blighted areas, such as Fall Creek Place, and especially the downtown, began in the 1990s and led to an acceleration of growth on the fringes of the metropolitan Area. The city adopted a strategy of achieving growth by promoting itself as a center for sporting events, beginning with the construction of the Market Square Arena home of the Indiana Pacers since 1974. The focus on sports continued during the 16-year tenure (1976-82) of Mayor William H. Hudnut, under whose leadership Indianapolis spent more than $126 million on construction athletic facilities, aided by the Lilly Endowment and other private donors. A highlight of this effort was the creation of a new 61,000-seat football stadium. Among the cities who very much wanted a team was Indianapolis. Under the administrations of mayors Richard Lugar and William Hudnut, the city was making an ambitious effort to reinvent itself into a `Great American City.' The Hoosier Dome (later renamed the RCA Dome) had been built and was ready for an NFL expansion team. The deal to bring the Colts to Indianapolis came together in late March 1984 and Irsay and Hudnut arranged for the franchise to move from Baltimore immediately, and secretly, overnight, before the official announcement on March 29. The opening of Circle Centre in downtown Indianapolis, a $300 million urban mall with over 100 retail outlets, jumpstarted a major revitalization of the central business district. Indianapolis's future appears bright as the city continues to invest heavily in improvement projects, such as an expansion to the Convention Center, upgrading of the I-465 beltway and an entirely new airport terminal for the Indianapolis International Airport, which is now open. Construction of the Indianapolis Colts' new home, Lucas Oil Stadium was completed in August 2008, and the proposed hotel and convention center expansion is expected to open within the next three years. At the center of Indianapolis is the One-Mile Square, bounded by four appropriately-named streets: East, West, North, and South Streets. Nearly all of the streets in the Mile Square are named after U.S. states. The exceptions are Meridian Street, which numerically divides west from east; Market Street, which intersects Meridian Street at Monument Circle; Capitol and Senate Avenues, where many of the Indiana state government buildings are located; and Washington Street, which was named after President George Washington. The street-numbering system centers not on the Circle, but rather one block to the south, where Meridian Street intersects Washington Street - National Road. Physically, Indianapolis is similar to many other Midwestern cities. A mix of deciduous forests and prairie covered much of what is considered Indianapolis prior to the 19th century. Land within the city limits varies from flat to gently sloping; most of the changes in elevation are so gradual that they go unnoticed, and appears to be flat from close distances. The mean elevation for Indianapolis is 717 feet (219 m). The highest point in Indianapolis lies on the Northeast-side of Indianapolis, it was previously assumed that it was Crown Hill Cemetery (the tomb of famed Hoosier writer James Whitcomb Riley) with an elevation of 842 feet (257 m), and the lowest point in Indianapolis lies at the Marion County/Johnson County line, with an elevation of about 680 feet (207 m). The highest hill in Indianapolis is Mann Hill, a bluff located along the White River in Southwestway Park that rises about 150 feet (46 m) above the surrounding land. Variations in elevation from 700-900 feet occur throughout the city limits. There are a few moderately-sized bluffs and valleys in the city, particularly along the shores of the White River, Fall Creek, Geist Reservoir, and Eagle Creek Reservoir, and especially on the city's northeast and northwest sides. Indianapolis has a humid continental climate (Koppen climate classification Dfa). Like most cities in the Midwest, it has four distinct seasons. Summers are very warm and humid, with high temperatures regularly approaching 90 °F (32 °C), with some days exceeding 95 °F (35 °C). Spring and autumn are usually pleasant, with temperatures reaching around 65 °F (18 °C). Spring, however, is much less predictable than autumn; midday temperature drops exceeding 30 °F (17°C) are common during March and April, and instances of very warm days (86 °F/30 °C) followed within 36 hours by snowfall not unheard of during these months. Winters are cool to cold, with daily highs barely inching above freezing. Temperatures occasionally dip below 0 °F (-18 °C). The rainiest months are in the spring and summer, with average rainfalls of over four inches (102 mm) per month mostly derived from thuderstorm activity, there is no distinct dry season with slightly higher summer averages. The city's average annual precipitation is 41 inches (1,000 mm). The average July high is 85.6 °F (29.8 °C), with the low being 65.2 °F (18.4 °C). January highs average 34.5 °F (1.4 °C), and lows 18.5 °F (-7.5 °C). The record high for Indianapolis is 107 °F (42 °C), on July 25, 1954. The record low is -27 °F (-32.8 °C), on January 19, 1994. Average annual snowfall is 27 inches (69 cm) . Greater Indianapolis is a rapidly growing region located at the center of Indiana and consists of Marion County, Indiana and several adjacent counties. The Combined Statistical Area (CSA) of Indianapolis exceeded 2 million people in the 2007 estimate, ranking 23rd in the United States and 7th in the Midwest. As a unified labor and media market, the Indianapolis Metropolitan Statistical Area (MSA) had a 2006 population of 1.66 million people, ranking 33rd in the United States. Indianapolis is the 7th largest MSA in the Midwest. According to the 2007 American Community Survey, the city's population was 68.3% White (63.8% non-Hispanic-White alone), 27.2% Black or African American, 0.7% American Indian and Alaska Native, 1.9% Asian, 0.2% Native Hawaiian and Other Pacific Islander, 4.0% from some other race and 2.2% from two or more races. 6.6% of the total population were Hispanic or Latino of any race. As of the census of 2000, there were 791,926 people, 324,342 households, and 195,578 families residing in the city. The population density was 2,160.9 people per square mile (834.4/km²). There were 356,980 housing units at an average density of 974.1 per square mile (376.1/km²). The racial makeup of the city was 69.34% White, 25.29% African American, 0.25% Native American, 1.42% Asian, 0.04% Pacific Islander, 2.02% from other races, and 1.64% from two or more races. Hispanic or Latino of any race were 3.88% of the population. Indianapolis has around 10,000 immigrants from the former Yugoslavia. In the city the population was spread out with 25.7% under the age of 18, 10.1% from 18 to 24, 32.8% from 25 to 44, 20.4% from 45 to 64, and 11.1% who are 65 years of age or older. The median age is 34 years. For every 100 females there are 93.7 males. For every 100 females age 18 and over, there are 90.1 males. From 2000 to 2004, the Hispanic population in Indianapolis increased by 43%. The executive branch is headed by an elected mayor, who serves as the chief executive of both the city and Marion County. The mayor appoints city department heads and members of various boards and commissions. The legislative body for the city and county is the City-County Council. It is made up of 29 members, 25 of whom represent districts, with the remaining four elected at large. As of 2008, Republicans hold a 16-13 majority. The council passes ordinances for the city and county, and also makes appointments to certain boards and commissions. All of the courts of law in Indianapolis are part of the Indiana state court system. The Marion Superior Court is the court of general jurisdiction. The 35 judges on the court hear all criminal, juvenile, probate, and traffic violation cases, as well as most civil cases. The Marion Circuit Court hears certain types of civil cases. Small claims cases are heard by Small Claims Courts in each of Marion County's nine townships. Also, the Appeals Courts and the Supreme Court for the state of Indiana are held in the statehouse. Historically there was a fire department maintained by each suburban township, which provided service to the areas of the townships outside of the pre-Unigov city limits and the corporate limits of the excluded cities. In January 2007, by a resolution jointly passed by the Washington Township Board and by the Indianapolis City-County Council, the Washington Township Fire Department was merged into the City of Indianapolis Fire Department. In July 2007, by a similar resolution between the City-County Council and the Warren Township Board, the Warren Township Fire Department was also merged into the city fire department. Perry Township became the third township to merge with the Indianapolis Fire Department effective August 1, 2009. All of the career fire-fighting personnel and emergency medical services personnel were absorbed into the city department. For the past decade, crime rates within the Indianapolis city limits have fluctuated greatly. In the late 1990s, violent crimes in inner-city neighborhoods located within the old city limits (pre-consolidation) peaked. The former Indianapolis Police District (IPD), which serves about 37% of the county's total population and has a geographic area covering mostly the old pre-consolidation city limits, recorded 130 homicides in 1998 to average approximately 40.3 homicides per 100,000 people. This is over 6 times the 1998 national homicide average of 6.3 per 100,000 people. Meanwhile, the former Marion County Sheriff's Department district serving the remaining 63% of the county's population, which includes the majority of the residents in the Consolidated City, recorded only 32 homicides in 1998, averaging about 5.9 murders per 100,000 people, slightly less than the 1998 national homicide average. Homicides in the IPD police district dropped dramatically in 1999 and have remained lower through 2005. In 2005, the IPD police district recorded 88 homicides to average 27.3 homicides per 100,000 people; nonetheless, the murder rate in the IPD is still almost 5 times the 2005 national average. When considering the total Consolidated City of Indianapolis, the overall crime rate has historically been low compared to the national average. Nonetheless, crime in impoverished inner-city neighborhoods remains a problem. Areas of Indianapolis that were unincorporated or separate municipalities before the 1970 city-county consolidation generally have significantly lower crime rates although their aggregate population is higher than the old pre-consolidation Indianapolis city limits. Thus, crime figures for the Consolidated City and the entire Marion County average out to a low rate. However, according to FBI reports in 2006, for the first half of the year, Indianapolis saw one of the larger increases in homicides in the country for the first half of 2006 as compared to the same time period in 2005. Overall violent crime in Indianapolis increased 8% for the first half of 2006 compared to the first half of 2005. While Marion County has still not surpassed its record homicide number of 162 set in 1998, it is on pace to see one of the highest numbers of homicides since then, with 153 committed in 2006 as the year draws to a close. In one 2006 event, seven individuals from the same family were murdered in their home. In 2007, city leaders such as Sheriff Frank J. Anderson and former Mayor Bart Peterson held rallies in neighborhoods in effort to stop the violence in the city. In 2008, 122 homicides were recorded in Indianapolis. The immediate downtown area of the city around most main attractions, venues, and museums remain relatively safe. IMPD uses horseback officers and bicycle officers to patrol the downtown area or the city. Certain areas of Indianapolis, most notably portions of the city's East Side, remain a challenge for law enforcement officials. Indianapolis was ranked as the 33rd most dangerous city in the United States in the 2008-2009 ion of CQ Press's City Crime Rankings. Until the late 1990s, Indianapolis was considered to be one of the most conservative metropolitan areas in the country but this trend is reversing. Republicans had held the majority in the City-County Council for 36 years, and the city had a Republican mayor for 32 years from 1967 to 1999. This was in part because the creation of Unigov added several then-heavily Republican areas of Marion County to the Indianapolis city limits. More recently, Republicans have generally been stronger in the southern and western parts (Decatur, Franklin, Perry, and Wayne, townships) of the county while Democrats have been stronger in the central and northern parts (Center, Pike, and Washington townships). Republican and Democratic strength is split in Warren and Lawrence townships. Outside of Marion County and the city proper, Republicans hold strong majorities in the suburbs of the metropolitan area. In the 1999 municipal election, Democrat Bart Peterson defeated Indiana Secretary of State Sue Anne Gilroy by 52 percent to 41 percent. Four years later, Peterson was re-elected with 63 percent of the vote. Republicans narrowly lost control of the City-County Council that year. In 2004, Democrats won the Marion County offices of treasurer, surveyor and coroner. The county GOP lost further ground during the 2006 elections with Democrats winning the offices of county clerk, assessor, recorder and auditor. Only one GOP countywide office remained: Prosecutor Carl Brizzi, who defeated Democratic challenger Melina Kennedy with 51 percent of the vote in his bid for a second term, despite outspending her two-to-one. At the township level, Democrats picked up the trustee offices in Washington, Lawrence, Warren and Wayne townships, while holding on to Pike and Center townships. In the 2007 municipal election, fueled by voter angst against increases in property and income taxes as well as a rise in crime, Republican challenger Greg Ballard narrowly defeated Peterson, 51 percent to 47 percent-the first time an incumbent Indianapolis mayor was removed from office since 1967. Discontent among these issues also returned control of the City-County Council to the GOP with a 16-13 majority. John Kerry defeated George W. Bush in the 2004 presidential election by roughly 6,000 votes in Marion County, 51 percent to 49 percent. It was the first time a Democratic presidential candidate had carried Marion County since 1964. Barack Obama carried Marion County in the 2008 presidential election by a much larger scale of 237,275 votes to John McCain's 131,459 votes, 64 percent to 35 percent respectively. Indianapolis was primarily responsible for delivering Indiana's electoral votes to Obama, who was the first Democratic presidential nominee to carry the Hoosier State since Lyndon B. Johnson in 1964. The United States Postal Service operates post offices in Indianapolis. The Indianapolis Main Post Office is located at 125 West South Street. As notable as high-tech industries are the many academic institutions, the largest of which is Indiana University-Purdue University at Indianapolis. The Indiana University Medical School is one of the largest in the nation, and Purdue is noted for its research in the areas of computers and automation. Butler University, Marian College and the University of Indianapolis, all private colleges, also are part of the city's educational environment. Martin University was founded by Fr. Boniface Hardin in 1977. The institution was created to serve minorities and low-income groups. Brown Mackie College, Butler University, Indiana University-Purdue University Indianapolis (IUPUI), Indiana Wesleyan University, Ivy Tech Community College of Indiana, Marian College, Martin University, Oakland City University (Indianapolis) Indianapolis campus, The Art Institute of Indianapolis, and the University of Indianapolis. As of 2009, Brown Mackie College is new to the area. Butler University was originally founded in 1855 as North Western Christian University. The school purchased land in the Irvington area in 1875. The school moved again in 1928 to its current location at the edge of Butler-Tarkington. The school removed itself officially from religious affiliation, giving up the theological school to Christian Theological Seminary. A private institution, Butler's current student enrollment is approximately 4,400. Indiana University-Purdue University Indianapolis was originally an urban conglomeration of branch campuses of the two major state universities: Indiana University in Bloomington and Purdue University in West Lafayette, created by the state legislature. In 1969 a merged campus was created at the site of the Indiana University School of Medicine. IUPUI's student body is currently just under 30,000, making it the third-largest institute of higher learning in Indiana after the main campuses of IU and Purdue. This campus is also home to Herron School of Art and Design, which was established privately in 1902. A new building was built in 2005 under both private donation and state contribution enabling the school to move from its original location. Marian College was founded in 1936 when St. Francis Normal and Immaculate Conception Junior College merged. The college moved to Indianapolis in 1937. Marian is currently a private Catholic school and has an enrollment of approximately 1,800 students. Starting in the 2009-2010 academic year, the college has changes its name it "Marian University," reflecting a more focused curriculum. The University of Indianapolis is a private school affiliated with the United Methodist Church. Founded in 1902 as Indiana Central University, the school currently hosts almost 4,300 students. Scheduled to be complete by 2011, the Indianapolis Cultural Trail: is a world-class urban bike and pedestrian path that connects the city's five downtown Cultural Districts, neighborhoods and entertainment amenities, and serves as the downtown hub for the entire central Indiana greenway system. The trail will include benches, bike racks, lighting, signage and bike rentals/drop-offs along the way and will also feature local art work. At the center of Indianapolis is Monument Circle, a traffic circle at the intersection of Meridian and Market Streets, featuring the Soldiers' and Sailors' Monument. (Monument Circle is depicted on the city's flag). Monument Circle is in the shadow of Indiana's tallest skyscraper, the Chase Tower. Until the early 1960s, Indianapolis zoning laws stated that no building could be taller than the Soldiers and Sailors Monument. Each Christmas season, local electricians string lights onto the monument. It is lit for the holiday season in a ceremony known as the "Circle of Lights," which attracts tens of thousands of Hoosiers to downtown Indianapolis on the day after Thanksgiving. The monument is modeled after the Mausoleum of Maussollos. At 210 feet (64 m) tall it is approximately seventy-five feet taller than the original Mausoleum. The blue lights, which shine between columns on the side of the War Memorial, make the monument easy to spot. On the north end of the War Memorial Plaza is the national headquarters of the American Legion and the Indianapolis-Marion County Public Library's Central Library. The city is second only to Washington, D.C., for number of monuments inside city limits. There have been two United States Navy vessels named after Indianapolis, including the USS Indianapolis (CA-35) which suffered the worst single at-sea loss of life in the history of the U.S. Navy. Indianapolis will host the National FFA Convention from 2006-2012 and is one of two finalists for the convention from 2013-2019. FFA Convention draws approximately 55,000 attendees and has an estimated $30-$40 million direct visitor impact on the local economy. Attendees occupy 13,000 hotel rooms in 130 metro-area hotels on peak nights during the four-day convention, making it the largest convention in the history of Indianapolis. Indianapolis has evolved into somewhat of a center for music. The city plays host to Drum Corps International, Music for All, Inergy, Indy's Official Musical Ambassadors, the Percussive Arts Society, the International Violin Competition of Indianapolis, the American Pianists' Association and Indy Jazz Festival. Every May Indianapolis holds the 500 Festival, a month of events culminating in the Indianapolis 500 Festival Parade the day before the running of the Indianapolis 500. The Festival was first held in 1957. The Circle City Classic is one of America's top historically African-American college football games. This annual football game, held during the first weekend of October, is the showcase event of an entire weekend. The weekend is a celebration of cultural excellence and educational achievement while showcasing the spirit, energy and tradition of America's historically black colleges and universities. In 2003, Indianapolis began hosting Gen Con, the largest role-playing game convention in the North America (record attendance thus far being numbered in excess of 30,000), at the Indiana Convention Center. Future expansion of the convention space is expected by many to further increase attendance numbers in coming years. The convention center has also recently played host to such events as Star Wars Celebration II and III, which brought in Star Wars fans from around the world, including George Lucas. From October 25 to 28, 2006, the convention center was home to the 79th national FFA convention, bringing around 50,000 visitors in from around the country. It will also host it every year up to 2012. Indianapolis is also home to the Indiana State Fair as well as the Heartland Film Festival, Epilogue Players, the Indianapolis International Film Festival, the Indianapolis Theatre Fringe Festival, the Indianapolis Alternative Media Festival, the Midwest Music Summit and the Indianapolis LGBT Film Festival. Indianapolis contains the national headquarters for twenty-six fraternities and sororities. Many are congregated in the College Park area surrounding The Pyramids. The Indianapolis Athenaeum, formerly known as "Das Deutsche Haus"
The Indy Pride Festival takes place every June. The Fiesta Indianapolis is held annually in September by La Plaza at the American Legion Mall and Veterans Memorial Park. The German Fest is an annual event held in October at the Rathskeller in the Athenaeum Building. The St. Nicholas Serbian Church hosts many Eastern European cultural events. The labels of The Amateur Sports Capital of the World, and The Racing Capital of the World, have both been applied to Indianapolis. Indianapolis is home to the Indy Racing League's offices and many of its teams, Indianapolis Colts of the NFL, the Indiana Pacers of the NBA, the Indiana Fever of the WNBA, the Indianapolis Indians of the IL, the Indiana Ice of the USHL, and the Indianapolis Trax of the MWHL. In addition, the headquarters of the National Collegiate Athletic Association (NCAA), the main governing body for U.S. collegiate sports, is located in Indianapolis, as is the National Federation of State High School Associations. Indianapolis is also home to the national offices of USA Gymnastics, USA Diving, US Synchronized Swimming, and USA Track & Field. Indianapolis also hosts the headquarters of the Horizon League and the Great Lakes Valley Conference; the Heartland Collegiate Athletic Conference is located in suburban Indianapolis. The city has hosted the Men's and Women's Final Fours (the semifinals and final of the NCAA basketball tournament) several times, and as of 2006 the NCAA is scheduled to hold the Women's Final Four in Indianapolis at least once every five years. Conseco Fieldhouse in Indianapolis will host the Big Ten Tournament for five straight years (beginning in 2008) after it won the Big Ten bid over Chicago and the United Center. IMS hosts two major races every year, the Indianapolis 500 and the Allstate 400 at the Brickyard. Starting in 2008, the MotoGP Motorcycle series will host a weekend at the speedway for the Red Bull Indianapolis Grand Prix. On May 20, 2008, the city was awarded the rights to host Super Bowl XLVI. Indianapolis hosted the Pan American Games in 1987 and the 2002 World Basketball Championships. The Indianapolis Motor Speedway (IMS), located in Speedway, Indiana, is the site of the Indianapolis 500-Mile Race (also known as the Indy 500), an open-wheel automobile race held each Memorial Day weekend on a 2.5 miles (4.0 km) oval track. The Indy 500 is the largest single-day sporting event in the world, hosting more than 257,000 permanent seats (not including the infield area). The track is often referred to as the Brickyard, as it was paved with 3.2 million bricks shortly after its construction in 1909. Today the track is paved in asphalt although a section of bricks remains at the start/finish line. IMS also hosts the NASCAR Allstate 400 at the Brickyard (originally the "Brickyard 400"). The first running of the Brickyard 400 was in 1994, and is currently NASCAR's highest attended event. From 2000 to 2007, IMS hosted the Formula One United States Grand Prix (USGP). Contract negotiations between the IMS and Formula One resulted in a discontinuation of the USGP at Indianapolis (at least for the foreseeable future). Formula One has not scheduled a USGP venue for the 2008 and 2009 seasons. The Speedway hosted its first MotoGP, with the Red Bull Indianapolis Grand Prix taking place in September 2008. Indianapolis is also home to O'Reilly Raceway Park. Though not as well known as Indianapolis Motor Speedway, O'Reilly is home to the NHRA Mac Tool U.S. Nationals, the biggest, oldest, richest, and most prestigious drag race in the world, held every Labor Day weekend. Indianapolis is home to the largest mini-marathon (and eighth-largest running event) in America. 2007 was the 30th anniversary of the Mini, and run in the first weekend in May every year. This event is part of the 500 Festival, its 50th year running. The race starts on Washington Street just off Monument Circle and ends on New York Street back downtown. The Mini has been sold out every year, with well over 35,000 runners participating. Opened in 1988, the Indianapolis Zoo is the largest zoo in the state and is just west of downtown. It has 360 species of animals and is best known for its dolphin exhibit which includes the only underwater viewing dome in the Midwest. 241 luxury guest rooms, Restaurant The Capital Grille, and Tastings, a wine bar experience that uses progressive wine technology for guests to enjoy wines by the taste, glass or bottle. There is also a full service spa and fitness center, and over 10,000 square feet of meeting space await you at Conrad Indianapolis. Listed on the National Register of Historic Places, the Crowne Plaza Hotel is truly a magnificent to stay, host a banquet, or attend a meeting. Housed in "America's first union station," 273 spacious and nicely decorated rooms, the Pullman's Restaurant and Lounge, an indoor pool, and over 50,000 square feet of meeting/banquet space is available. Room amenities include high speed Internet access, a cd player, and individually controlled air conditioning. Connected to the Indiana Convention Center. The Indianapolis Marriott Downtown is connected to the newly expanded Indiana Convention Center/RCA Dome in the heart of downtown. The new Marriott is Indianapolis' largest convention hotel, with 615 deluxe guest rooms. Located in the heart of of downtown Indianapolis, Indiana, the Omni Severin Hotel proudly serves as one of the city's most elegant hotels. This luxury hotel is conveniently connected to Circle Center Mall and the Indiana Convention Center and is only one block from the Conseco Fieldhouse. Built in 1913 the hotel has recently been restored to its original grandeur and makes an elegant destination when traveling to Indianapolis for business or leisure. The hotel's luxurious accommodations feature high speed wireless Internet-additional fee may be applicable. access and spectacular views of the historic Union Station and the Indianapolis skyline. The Sheraton Indianapolis Hotel and Suites boasts the city's most prestigious location, Keystone at the Crossing. Convenient to both downtown and the Indianapolis International Airport, this north side landmark is the perfect location for individual travelers and groups of any size. The two 12-story towers offer 560 spacious rooms and suites and is connected by a skywalk to the Fashion Mall, a 130-store haven for shoppers. The prestigious location provides easy access to exciting sports attractions, interesting cultural events, and all that Indianapolis has to offer. A AAA Four-Diamond hotel, the historic Canterbury is a European-style boutique luxury hotel that offers 99 magnificently decorated rooms, WiFi-wireless high speed Internet access, daily turndown service, 24-hour room service, and an on-site restaurant. This Victorian home has four bedrooms and one suite each with private bath, phone, TV/VCR, and data port. The inn is located in historic Chatham Arch, convenient to downtown businesses/attractions, and serves a full breakfast daily. This historic mansion, listed in the National Register of Historic places, features six different theme rooms with private baths, fireplaces, Jacuzzi tubs, modem and fax access, a continental breakfast, and has conference and exercise facilities for the business traveler. Renata's Bed & Breakfast is a country inn snuggled on the west side of the bustling city of Indianapolis. Located at the corner of South Lynhurst Drive and West Raymond Street, Renata's Bed & Breakfast is only 5 minutes from the airport, 10 minutes from the Indianapolis Motor Speedway, and 10 minutes from downtown. The inn is also conveniently located near I-70, I-465 and the Airport Expressway. Breakfast is served daily for all guests. Monday through Friday, Renata serves a European Breakfast. Weekend guests are treated to a traditional American-style breakfast that offers choices of biscuits and gravy, bacon, sausage, eggs, pancakes and syrup, or any combination of the above! They have special weekend packages and senior discounts. Small banquet facility as well. This Southern-style plantation mansion has five lovely rooms with private baths, antique furnishings, and they serve a full breakfast. This Colonial Revival style mansion is located in the heart of the Historic Old Northside and features nine rooms with Mission-style and Victorian-era antiques, fireplaces, and comfortable sitting areas. is a leading directory of bed and breakfasts, inns, and boutique lodgings throughout Indianapolis and neighboring Indiana towns. Shop, compare, and book from their large selection of Indianapolis B&B properties with many exclusive deals offered. Gift certificates are also available. BedandBreakfast.com has nearly 7,000 property listings throughout the United States with 50,000 reviews, 80,000 property photos, and interactive maps. Forget ordinary hotel rooms! Finding the perfect vacation getaway in Indianapolis, IN is easy on HomeAway.com. Choose from 75,000 homes, condos, guesthouses, cottages, and cabins worldwide, and inquire directly with property owners through the site. HomeAway.com vacation rentals offer a unique local experience, often less expensive and more spacious than hotel rooms. saves you time! Click to inquire & compare offers from Vacation Rentals, Hotels, and Bed & Breakfasts in Indianapolis, IN. Find the best deals on short term accommodations using this award-winning, traveler-tested website. Browse our extensive inventory offering leisure and business travelers a wide variety of lodging options; from a budget studio to a luxury villa on a private island, from a small boutique hotel or bed and breakfast to a 5 star resort. Find the perfect place to stay for every occasion including family vacations, romantic getaways, business trips, ski, beach or golf vacations. Find the perfect vacation rental to match your budget without compromising on luxury and comfort. Search from a wide selection of vacation homes, villas, condos and other property types. Browse photos, rates, availability and book properties directly from owner in Indianapolis and surrounding areas. Are you still making hotel reservations? At VacationRentals.com, customize your next vacation and take advantage of off-season discounts, last minute deals, and freebies! No matter what destination or property type or number of bedrooms youre looking for, you can find an affordable vacation rental that will suit the needs of you and your fellow travelers. So, what are you waiting for? No matter how tight your budget, you can book your dream vacation on VacationRentals.com today! CorporateHousing.com is the leading short term lodging source. 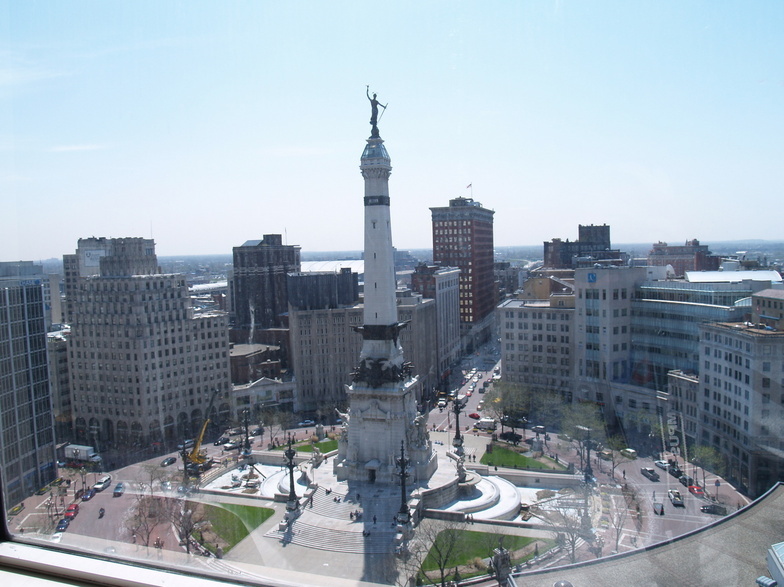 Choose from hundreds of corporate housing and extended stay in Indianapolis, IN. Search options for your temporary lodging needs whether you're looking for corporate housing, short term furnished apartments, condos, or extended stay hotels. Find it on CorporateHousing.com. All suites are built for comfort & convenience with a fully equipped kitchen. Work at your spacious desk with high speed Internet, two phone lines, and personalized voicemail. Work off stress in the fitness room or enjoy the indoor pool and hot tub. Grab a snack or even a meal in the Candlewood Cupboard, the 24-hour convenience store. All suites feature complimentary high speed Internet access with wireless service available in meeting space and public areas of the hote. Residence Inn by Marriott is designed to make you feel at home for a day, a week, a month or more. Our suites give you fifty percent more space than most traditional hotel rooms. The Residence Inn El Paso is located three miles south of the airport and four miles from Fort Bliss. Downtown El Paso is eight miles west of the hotel via Interstate 10. Residence Inn Indianapolis North is an all-suite hotel with complimentary hot breakfast and evening meal. All rooms are either one queen or king-size bed, full kitchen, an outdoor pool, a Sport Court and health club facilities nearby. The Residence Inn by Marriott Indianapolis/Fishers is located approximately 18 miles Northeast of downtown in the Northwest corner of I-69 and 96th Street. The Residence Inn Indianapolis Airport has perfected the extended-stay experience by combining all of the comforts of home with a passion for making every guest feel welcome. The 95-suite hotel offers a fully-equipped kitchen with a refrigerator, microwave and coffee maker and fireplaces available in select suites. Start your day with a deluxe "home touch" breakfast, and enjoy a social hour Monday through Thursday evenings. Take advantage of the indoor pool, spa, outdoor barbecue area and exercise facility. Whether traveling for business or pleasure, friendly and proficient staff take pride in anticipating and satisfying your needs, 24 hours a day. Residence Inn in Carmel has beautiful decor with a landscaped patio and a gas grill for entertaining. Comfortable, home like atmosphere invites guests to sit and relax in the library. Service minded associates will strive to exceed guests expectations. SpringHill Suites offer studio suites with one king bed ortwo doubles, seperate living and sleeping areas. Rooms are equipped with sofa bed, mini-fridge, microwave, work desk and high speed access. Continental breakfast is included. Other amenities include a business center, indoor pool, spa, and exercise room. Americas Best Inn and Suites have become known for comfort, value and the friendly attention of a welcoming staff that cares. At Americas Best Inns and Suites keeps your comfort in mind and offer what you truly want - quality accomodations without useless frills and a complimentary breakfast each morning - all at the best value possible. The AmeriSuites Indianapolis features 126 two-room suites located on the northeast side of Indianapolis in the Northside Business district. Location is convenient to Interstate 465 and is within walking distance to the Keystone Fashion Mall and fine restaurants and entertainment. AmeriSuites Indianapolis Airport is an all-suite hotel with an airport location and shuttle. Offering a beautiful upscale decor with a state-of-the-art exercise room and outdoor pool. Rooms have Pay-Per-View Lodgenet movies and Nintendo, friendly front desk associates, popcorn, (daily from 3:00-11:00 PM) and a guest-managers reception on Wednesday Night (from 5:30-11:00 pm). The hotel is located with easy on and off interstate access. Welcome home to the Best Western Country Suites. Based on a country bed and breakfast theme, this charming all-suites hotel is a truly refreshing change from the ordinary. The suites are more than twice the size of a regular hotel room and feature both a spacious living room and a separated sleeping area. All suites include microwave, refrigerator, coffee/tea maker, two cable televisions, hairdryer, iron, ironing board, as well as an executive desk with two phones and two phone lines. Hotel guests will enjoy a continental breakfast daily. Other amenities include a guest laundry, dry-cleaning and conference facilities with full service catering. An all-studio suite hotel, the Best Western Airport Suites, is conveniently located just two miles north of the Indianapolis International Airport. Each of these suites offer a mini-refrigerator, microwave, coffee maker, hairdryer, iron and ironing board and a wet bar. In addition, all suites have two 25-inch televisions and a double-size sofa sleeper bed and high speed internet access. To start off the day a hot breakfast buffet is served in the spacious breakfast room. Best Western Castleton Inn is a 105 room hotel located off Interstate 69, near some of the city's best area for shopping and dining. The nearby business district offers a 24-hour business center, post office, coffee house and nightlife. In addition, the newly renovated Sahm Park and outdoor water facility are located blocks from the hotel. Downtown Indianapolis is 15 miles south of the Best Western Castleton Inn and offers numerous sporting events, concerts, museums, restaurants and shops. No one does racing like the Indianapolis Motor Speedway. The City of Indianapolis is booming and has something for everyone year round. Let the new Best Western Castleton Inn service your lodging needs. Discover the new Best Western City Centre Hotel & Suites, located in beautiful downtown Indianapolis. Conveniently located just one block south of the Indiana Convention Center and RCA Dome. Enjoy sensational shopping, exciting nightlife, as well as both professional and amateur sporting events all within walking distance. The new 108 rooms hotel features both executive suites and standard guest rooms. The Best Western City Centre Hotel & Suites offers continental breakfast each day. When traveling to Indianapolis, the Best Western Indianapolis South offers you all the conveniences of home. Choose from a variety of guest rooms, from mini-whirlpool suites to deluxe king rooms with sofas. While you stay take advantage of the exercise facility and indoor heated pool and in the morning, enjoy a continental breakfast. Whether you are visiting Indianapolis on business or pleasure, the smiling, dedicated staff waits to serve you. The Best Western Indianapolis South is located within walking distance of fine family dining and fast food restaurants. Downtown Indianapolis is just minutes away by interstate. Indoor atrium with tropical setting housing indoor pool and whirlpool. High-speed Internet access in all rooms. Meeting and banquet facilities available covering 17,500 square feet. Professional sales and catering staff specializing in weddings, family reunions and conferences. Close to Indianapolis Motor Speedway, Indianapolis Raceway Park and downtown Indianapolis. Airport shuttle service to Indianapolis International Airport. This hotel is located near Park 100, Intech Park and only 9 miles from downtown with several restaurants nearby. The hotel offers a deluxe continental breakfast, indoor pool, fitness area, business center and meeting space. All guestrooms feature Simons Felicity Pillow Top mattresses and high speed internet. Many rooms also feature a refrigerator/microwave and whirlpool. Long term rates are available for extended stays. Located off of I-70 & I-465, only six miles from downtown Indianapolis on the East side. High speed internet access in every guest room. Great for business or leisure. Enjoy the indoor heated pool and continental breakfast. Rooms with microwave & refrigerator available. Bring the family to see the Indianapolis Zoo or the Children's Museum. Convenient to the Indianapolis Motor Speedway, RCA Dome, Conseco Fieldhouse and Indiana State Fairgrounds. This hotel offers high speed Internet and a deluxe continental breakfast. Conveniently located in the Pyramids Office Complex. There are several restaurants within walking distance and is just 15 miles from all downtown Indianapolis sports arenas. Only eight miles from the Indianapolis Motor Speedway (home of the world famous Indianapolis 500), Formula One Grand Prix and Allstate 400 races. The Comfort Inn South offers 98 guestrooms which include a delicious continental breakfast daily. Other amenities include cable television and an outdoor pool. Comfort Inn West offers easy interstate access. 94 rooms and suites, an indoor pool, fitness center and children's play area. Conviently located between the airport and the Indianapolis Motor Speedway and only six miles from downtown. Each suite features separate sleeping and sitting areas with sofabed, coffee maker, microwave, refrigerator, iron, ironing board, hairdryer, two telephones with two telephone lines and high speed internet access. There is an indoor pool, a 24-hour exercise facility, guest laundry, business center, meeting room and a deluxe continental breakfast served each day. All rooms have high speed Internet access, two 2-line phones with speaker, large work desk with ergonomic chair, sofa, two 27" TV's, mini-fridge, microwave, wet bar, coffee service, iron and iron board, hairdryer, marble counters, storage cabinets and deluxe amenities. Guests also enjoy a complimentary breakfast, indoor pool, fitness center and meeting space with catering. Hotel is beautifully appointed with a grand staircase at the center of the lobby. This 109 room Country Inn and Suites is conveniently located just three miles from the Indianapolis International Airport. The hotel features a complimentary breakfast, high speed Internet access, a shuttle service to and from the airport and downtown Indianapolis. Guests will also receive a USA Today newspaper delivered to their door Monday through Friday. Whirlpool suites with fireplace and a 1000 square foot meeting room featuring state of the art audio/visual equipment round out the awesome amenities of the newest Country Inn and Suites in Indianapolis. Less than 15 minutes to Downtown, Convention Center, Indy Race Track Football and Basketball Stadium and other Points of Interest. Many restaurants located within five minutes of hotel and 10 minutes to malls. All rooms feature High Speed Internet service. Hotel has an indoor pool and whirlpool, continental breakfast, local calls, in room coffee makers, cable TV including: HBO, CNN and ESPN. Located just 5 minutes from downtown and 15 minutes from the Indianapolis Motor Speedway. Whether traveling for business or fun, Courtyard by Marriott makes all of your travels successful by providing exactly what you need: spacious, thoughtful guest rooms; a hot breakfast buffet; and services that help you be more productive and comfortable. Courtyard surrounds travelers with the conveniences that make business and pleasure travel easy. Relax and get ready for the day ahead in one of our 146 spacious guest rooms, featuring a comfortable sitting area, large work desk, two phones with data ports. Workouts are easy in the 24-hour fitness center and The Market provides tasty food options at any hour. In the morning, start out with a reasonably-priced breakfast buffet. After a long day, enjoy a swim in the indoor pool or relax in the Jacuzzi. Courtyard surrounds travelers with conveniences making business and pleasure travel easy. Relax and get ready for the day in one of the 124 spacious guest rooms, featuring a comfortable sitting area, large work desk, two phones and high speed Internet access. Stay at the Courtyard by Marriott Indianapolis-Carmel and you'll find a new favorite option among Indianapolis hotels. Relax and get ready for the day ahead in one of 137 spacious guest rooms and 12 suites that feature high-speed Internet access, and free in-room coffee. Spacious guest rooms, location, high-speed Internet access, an on-site restaurant, an outdoor pool, and a breakfast buffet are just some of the reasons to stay at this AAA Three-Diamond hotel. Hotel featuring a total of 99 rooms with one king or two queen size beds with two room suites and whirlpool suites available. High speed Internet access, an indoor pool, an exercise area, and a full breakfast buffet are just some of the amenities you will enjoy during your stay. Courtyard surrounds you with the conveniences that make business and pleasure travel easy. Relax and get ready for the day ahead in one of the 83 spacious guest rooms. The rooms are designed to allow guest to be both comfortable and productive. High speed internet access is available in all rooms. This 274-room full service hotel and 20,000 square-foot conference center has a fitness center, an indoor pool, over 20 meeting and banquet space options, and a variety of restaurants and lounges. At the Days Inn South, you can count on a warm welcome from the friendly staff, a clean comfortable room, an indoor solar heated pool, complimentary breakfast and coffee 24 hours a day. Whether you are coming to this great city to attend a convention, be a sports spectator, take a step in history in one of the many museums, or just to relax you will be greeted with genuine hospitality. This Days Inn is only five miles from downtown and seven miles from Indianapolis International Airport. Also just minutes from the Indianapolis Motor Speedway the home of the Indy 500 & NASCAR Brickyard 400 and five miles from Indianapolis Convention Center and Indianapolis Zoo. The central location and easy highway access make us the perfect choice. All of the 94 rooms are spacious and include TVs with expanded cable with HBO, remote control, separate work area, voice mail, hairdryer and iron/board, Jacuzzi Suites are also available. The Days Inn Indianapolis surrounds travelers with the conveniences that make business and pleasure travel easy. Guests enjoy a Daybreak Lite Breakfast, refreshing Sol Terre shower experience, WI-FI in every room and the opportunity to shop, dine, explore - all while earning Trip Rewards points. Just minutes from all major business and local attractions. Welcome to the Days Inn and Suites of Indianapolis offering 138 all interior rooms with Jacuzzi Suites. Guests enjoy high speed wireless internet and dataports in all rooms, an indoor heated pool, fitness center, deluxe Daybreak Breakfast, cable television with HBO and much more. Located just minutes from the Indianapolis Motor Speedway, downtown Indianapolis, Indianapolis International Airport and all major attractions. Whether for business or pleasure, the Days Inn and Suites can accommodate all your lodging needs from business meetings to wedding receptions to just a weekend getaway. Business or pleasure you will be treated to all the standard Days Inn extras that make your stay more enjoyable, like a Daybreak Breakfast, refreshing Sol Terre shower experience, WI-FI in every room. Plus, if you are a Trip Rewards member, you will continue to receive TripRewards points for all eligible stays. Just minutes from all major businesses and local attractions. Hotel offers a continental breakfast and meeting/banquet facilities. Rooms include hair dryers and cable TV. The Days Inn Airport is a full service hotel that has consistently received a Five-Sunburst rating. If you are staying for business or pleasure you will be treated to all the standard Days Inn extras that make your stay more enjoyable, like the Hot Breakfast Buffet, refreshing Sol Terre shower experience, and WI-FI in every room! Plus, if you are a TripRewards member, you will continue to receive TripRewards points for all eligible stays. Business or pleasure the Days Inn Indianapolis Downtown offers you the convenience of a great location coupled with fabulous amenities. You will be treated to all the standard Days Inn extras that make your stay more enjoyable, like a Deluxe Daybreak Breakfast, refreshing SolTerre shower experience, and High Speed Internet in every room! Plus, if you are a TripRewards member, you will continue to receive TripRewards points for all eligible stays. Staying for business or pleasure you will be treated to all the standard Days Inn extras that make your stay more enjoyable, like a Daybreak Breakfast, refreshing SolTerre shower experience, and WI-FI in every room! Minutes from Indianapolis Downtown, Speedway, RCA Dome, Convention Centre, Fair Grounds and much more. Nestled in a corporate setting but perfect for family vacations. Just 20 minutes away from many of the city's great attractions such as the famous Motor Speedway, home of the Indy 500, Brickyard 400, and Formula One, and the RCA Dome, home of the Colts. This hotel has 110 spacious guestrooms with flexible workspace that appeal to business travelers as well as families. Enjoy all the comforts of home with great amenities for less than you would expect to pay. Beautifully decorated with a private bedroom and spacious living room. All of the suites are fully equipped with two televisions, a refrigerator, microwave oven, coffee maker, two telephones with data ports, voice mail and a well lit dining/work table. This eight-story Mediterranean-style full-service hotel features 221 suites, high speed Internet access, an indoor pool, and a restaurant. The award-winning Embassy Suites Indianapolis North hotel is located near St. Vincent Indianapolis Hospital, Keystone at the Crossing Fashion Mall, Castleton Square Mall and the communities of Zionsville, IN and Carmel, IN. This property offers a fitness facility, an outdoor pool, high speed Internet access (fee), business services, a continental breakfast, dry cleaning service, and airport shuttle. Rooms here feature a fully equipped kitchen and spacious living area. Guests can enjoy a continental breakfast, the swimming pool, and fitness facility. The Fairfield Inn-Greensburg is a property with 73 guest rooms, an indoor pool and spa, and a fitness center. Guests can choose from many room types including king, two queen, or whirlpool suites. Indianapolis' premier Fairfield, is a prototype hotel for Marriott's new Fairfield Suites lodging brand. While walking through the lobby, you will notice mahogany and granite, which reflects attention to details. Guest satisfaction is always the focus. Part of the Marriott Center ( Indianapolis Marriott East ), featuring 2 fitness centers, 2 indoor pools, an outdoor pool, 2 business centers, a full service shoe shine, 35,000 sq feet of meeting space and a full service restaurant. Come experience a uncomparable value of service and price! The Fairfield Inn Indianapolis/Airport features 86 bright, attractive guest rooms, a continental breakfast, heated indoor pool and exercise room. It is located only 15 minutes from downtown. Always fresh, always clean, Fairfield Inn's guest rooms are full of thoughtful amenities, including a well lit desk and a remote control TV with free cable. Get your day started with a continental breakfast. These guest rooms are full of thoughtful amenities, including a well-lit disk and a remote control TV with cable. Get started each day with a continental breakfast that includes hot, freshly-brewed coffee. Close to shopping and area attractions, the historic Cheaspeake Building has been restored and turned into a beautiful hotel. They have an exercise area, high speed Internet access, and serve a continental breakfast buffet. Featuring high-speed Internet access! Offering studio and one-bedroom suites with two full or one king size beds. The suites offer web bars with microwave, sink and refrigerator or fully equipped kitchens with a two burner cook top, microwave, dishwasher and a Wednesday evening social to provide your evening meal. Additional on site amenities includes a fitness center, indoor pool, sports court and local calls. The hotel features the Pavilion Pantry, business center, and nine conference rooms - totaling 4,500 square feet of meeting space. Great cuisine and friendly atmosphere awaits you at the American Grill during breakfast, lunch and dinner. The indoor-heated pool, whirlpool and fitness center are a perfect retreat as well. Welcome to the Holiday Inn East Hotel, ideally situated on the East side of Indianapolis, just eight miles from downtown. Easy highway access makes this hotel convenient to major business districts and attractions. Whether you are here for business or pleasure, enjoy breakfast, lunch or dinner at their restaurant, Damon's "The Place For Ribs" featuring award-winning BBQ ribs and the unique onion loaf. Offers 140 guest rooms conveniently located just off I-465 and Emerson Avenue. A full service hotel with restaurant/lounge and banquet/meeting facilities. Guest rooms are equipped with iron/ironing board, coffee maker, hair dryer and dataports for Internet access. The hotel features 76 guest rooms with amenities including high speed Internet access, an outdoor pool, guest laundry, breakfast bar and evening reception Monday through Wednesday. Each guest room also has coffee makers, hair dryers, iron/ironing boards, and digital satellite. Enjoy the warm setting of their Great Room where their exclusive Express Smart Breakfast is served daily, or relax Monday - Thursday evenings with the hospitality hour from 6-8 p.m., serving light snacks and beverages. Amenities here include comfortable guest rooms, high speed and wireless Internet access in guest rooms and in the lobby and a breakfast bar daily. Guests can also enjoy membership privileges at the nearby Bally's Fitness Center. Each guest room here includes an iron & ironing board, hair dryer, and high-speed Internet access. Suites with microwaves, refrigerators, whirlpool tubs, and sofa sleepers are also available. A continental breakfast is served every morning. An outdoor pool and a fitness center are also available. Offers a continental breakfast, business center, high speed Internet, fitness center and Bennigan's restaurant. Suites available with full-size Jacuzzi's, refrigerators and microwaves. The Holiday Inn Select Indianapolis North is home to "Caribbean Cove Indoor Water Park". Reserve a Caribbean Cove Package & enjoy over 50,000 square feet of water recreation. Enjoy three slides with a plunge pool, two spas, a sports activity pool, a leisure river & kidz island complete with a water bucket dumping station. The park also features Calypso Cafe & Crazy CoCo's Arcade with a ticket/redemption & merchandise counter and ample lounging area. Access to Caribbean Cove is only available to guests booking the Caribbean Cove Package rate and must be booked directly through the hotel. This hotel is inspired by the "Old World Charm" of the French Riviera, an experience you won't forget. Whether you're traveling on business or pleasure, at the Holiday Inn Select North Indianapolis at the Pyramids can meet all your needs. Located just outside Indianapolis International, the La Quinta Inn-Indianapolis Airport is the place to stay for all the exciting races: Indianapolis 500, the Brickyard 400, and the USA Grand Prix. Convenient highway access makes it easy to reach all downtown venues, NFL Colts Football, NBA Indiana Pacers, Indianapolis Children's Museum, and the Indianapolis Zoo. Located just minutes from downtown, the La Quinta Inn Indianapolis East leads in quality and service with an exceptional 24-hour staff committed to making sure your stay exceeds all expectations. Start each day with a complimentary 32-point Enhanced Continental Breakfast in the sparkling wide-open lobby dining area. There is a seasonal outdoor heated Pool for your enjoyment, and guests receive passes to a grand recreation facility. Now offering high-speed Internet access in all rooms. Located just outside Indianapolis International and not far from downtown, the La Quinta Inn-Indianapolis Airport/Executive Drive is close to all area attractions. From here, pay a visit to the Indianapolis Children's Museum, the Zoo, and Whitewater Gardens. Less than 10 miles from RCA Dome, Conseco Fieldhouse, and the famed Indianapolis Motor Speedway. Now offering high-speed Internet access in all rooms. The La Quinta Inn Indianapolis East-Post Drive is just 10 minutes from downtown off I-70, convenient to such attractions as the Indianapolis Children's Museum and the Zoo. Not far from the sporting and entertainment venues of Conseco Fieldhouse, RCA Dome, and the world-renowned Indianapolis Motor Speedway. Find great shopping and other excitement at Circle Centre Mall, Washington Square, and Castleton Square. Guests of this hotel enjoy wireless high speed internet and a continental breakfast. Fax and copy services are available. In-room amenities include coffee maker, hairdryer, iron and ironing board and satellite television. The staff strives to create a memorable experience by providing comfortable accommodations, quality service and affordable luxury. This 253-room, AAA Four Diamond hotel has three executive suites, a concierge level and lounge, an indoor/outdoor pool, a professional fitness center with state-of-the-art equipment and cardio-theater technology, a business center, Durbin's Restaurant and Lobby Lounge, and award-winning conference facilities. Enjoy the comfort of one of the 300 guest rooms here, equipped with phones that include voicemail and data ports. Start your day with a newspaper and morning coffee, served daily in the lobby. You can also sample the many options offered in the restaurant, Bistro 33, or the lobby lounge. Over 13,000 square feet of meeting space is available. The Marten House Hotel and Lilly Conference Center is located on the fashionable north side adjacent to St. Vincent Hospital - The Marten House Hotel offers its guests beautifully appointed rooms- indoor year round pool- professionally equipped fitness room For your dining pleasure- Piccards Restaurant is open daily or after a hard day stop by the Sterling Lounge for a cocktail. Located just 2 minutes from Indianapolis International Airport. Convenient to downtown Indianapolis, shopping, restaurants, museums, Indianapolis Motor Speedway, and other sport venues. High-speed Internet in all rooms. The Indianapolis Quality Inn is just 15 minutes from the Indianapolis Motor Speedway and only 13 miles from the RCA Dome. This Inn features an outdoor heated pool, a continental breakfast and select rooms with mini-refrigerators. Walking distance to several restaurants. Several new shops nearby. Jacuzzi suites available. Quality Inn and Suites with great affordable rooms, is conveniently located off I-70 and I-465 just eight minutes east of downtown Indianapolis. Hotel offers wireless high speed Internet, continental breakfast, and much more. The Radisson Hotel is near to the Indianapolis Airport and provides a complimentary airport shuttle. Only minutes from the heart of downtown Indianapolis. Each beautifully decorated room features Wireless High Speed Internet, coffeemaker, iron/ironing board, hairdryer, oversized work desk, two-line phone, and voicemail. The hotel also offers a newly updated exercise facility, full-service restaurant, lounge and room service. Suites, with a separate sitting room and bedroom, are available for those needing meeting space while traveling. Located just one mile from the Indianapolis International Airport and minutes from downtown, this hotel offers an airport shuttle, high speed Internet access, a fitness facility, and continental breakfast. This Ramada Inn is on the east side of Indianapolis. Only 12 miles from Downtown Indianapolis and 18 miles from Indianapolis International Airport. Hotel amenities include a heated indoor pool, sauna and exercise room. The Bennigan Irish American Grill and Tavern is on site. Within 20 Minutes from all major attractions, shopping centers and sports venues. Trucks and RVs welcome. Ramada Limited Indianapolis West is conveniently located to all major interstates, 65, 69, 70 and 74. This hotel minutes to downtown, capital city for state of Indiana, and all it has to offer. This 80 unit hotel offers all of the latest hotel amenities like high speed internet, continental breakfast, USA Today and a friendly staff ready and willing to service your every need. As an additional bonus only steps away from the Cracker Barrel Restaurant. For true hospitality and a price value relationship hard to beat, make Ramada Limited a must stop when traveling the Hoosier State of Indiana. The Indianapolis South Red Roof Inn is located just eight miles from beautiful downtown Indianapolis and features T-Mobile wireless Internet access (daily fee may apply). Experience the coffeehouse-style service featuring fresh brewed, ground whole bean coffee. Area attractions include the Indianapolis Event Center, Market Square Arena, Greenwood Park Mall, the RCA Dome and the Indianapolis Speedway. The Indianapolis North Red Roof Inn is located nine miles from Butler University and just three miles from Saint Vincent Hospital. This Inn features T-Mobile wireless Internet access (daily fee may apply) and is within minutes of three famous races: the Indianapolis 500, the Brickyard 400 and Formula 1. Experience the coffeehouse-style service featuring fresh brewed, ground whole bean coffee. An all Suite Inn featuring four poster beds, pull out queen sleeper sofa, full size beds, fully furnished rooms, gourmet kitchen, and a breakfast nook. Also local calls with basic cable. Ample parking is available to guests. All rooms feature air conditioning, alarm clocks, irons and ironing boards and a T.V. with remote control. Located on the historic canal waterway, with a comfortable setting for guests needing to stay five nights or more, the Canal Residence Inn is the perfect home away from home. Amenities include a deluxe, continental breakfast daily; indoor pool and whirlpool, and high speed internet access. In the heart of the Indianapolis Financial District. Best view in Downtown Indy, overlooking historic Monument Circle. Within walking distance to Circle Centre Mall, entertainment, RCA Dome, convention center, Conseco Fieldhouse, Indiana Repertory Theatre and 92 restaurants. Only three miles to Indianapolis Airport and offers shuttle service. A continental breakfast is served daily. Close to Indianapolis Speedway, downtown attractions, shopping and restaurants. The Staybridge Suites Indianapolis-Fishers Hotel is located at I-69 and 96th Street on the Northeast side of Indianapolis. Staybridge is an all suite, extended stay hotel with an upscale yet down-home atmosphere. This is the ideal location for shopping, restaurants and entertainment. There is a restaurant within walking distance and an array of different eateries less than a mile down the road. For those of you looking to shop, Castleton Square Mall & Keystone Mall are just minutes away! Clay Terrace Mall and Circle Centre Mall are less than twenty minutes from the property. There is also a movie theatre less than a mile away. Conveniently located near I-70 and I-465, this full service hotel offers 123 rooms with whirlpool tubs, a restaurant and pub, a sports and dance club, meeting facilities for up to 800 people, and an indoor swimming pool. Offers an outdoor pool, dry cleaning services, and continental breakfast. The Super 8 Indianapolis NE/Castleton is ideally located in the heart of Castleton shopping district in the Northeast side of Indianapolis. At Super 8 of Castleton strives to provide guests with excellent service and a warm homelike atmosphere. The Super 8 Indianapolis NE/Castleton is located just a short distance from Indiana State Fair Grounds, Verizon Wireless Music Center, Downtown Indianapolis, Conseco Fieldhouse, RCA Dome, Indiana Convention Center, and Indianapolis Zoo. The Super 8 Indianapolis/Emerson Ave. is located off of I-465 just minutes away from Downtown Indianapolis. The hotel is just 10 minutes away from the RCA Dome, Conseco Fieldhouse, Indiana Convention Center, Indianapolis Zoo, Indianapolis Childrens Museum, IMAX Theater, and the Circle Centre Mall. The Super 8 Indianapolis at Southport Road is just six Miles South of Downtown Indianapolis, the RCA Dome, Conseco Fieldhouse, the Indiana Convention Center, and the Indianapolis Zoo. Several full service and fast food restaurants are within walking distance or just a short ride from the hotel. The Super 8 Indianapolis at Southport Road is an all exterior property for easy access to all rooms. This Super 8 Motel offers a SuperStart breakfast and is convienient to downtown Indianapolis and the Indy 500 racetrack. The Super 8 Indianapolis College Park offers interior and exterior entrances, a convenient location near to Downtown Indianapolis, the Northwest Business District, Indianapolis International Airport, Indianapolis Motor Speedway, Indianapolis Raceway Park, and the Castleton Mall. The Super 8 Indianapolis College Park offers clean and comfortable accommodations for the many special events in the area. Super 8 Indianapolis/Airport is located conveniently near downtown Indianapolis, Indianapolis Motor Speedway, Indianapolis International Airport, local attractions, shopping opportunities, and more. The Super 8 Indianapolis/Airport offers high speed Internet, a SuperStart Breakfast, hairdryers, guest laundry facility, and cable television. TownePlace Suites by Marriott is the simple solution for extended stays with your budget in mind! The office suites give you thirty percent more than a traditional hotel room. The TownePlace Suites Indianapolis Keystone is located twelve miles north of downtown Indianapolis in the Keystone Crossing area. All accommodations have a fully equipped kitchen including coffee maker, cooking and eating utensils, dishes and glassware, dishwasher, microwave and refrigerator with icemaker. Marriott's luxurious new bedding package is available at this TownePlace Suites property. TownePlace Suites by Marriott is the simple solution for extended stays with your budget in mind! Suites are designed to make you feel ar home for a day, a week, a month or more and give you thirty percent more space than a traditional hotel room. The TownePlace Suites Indianapolis Northwest is located ten miles from downtown and six miles from the Indianapolis Motor Speedway. All accommodations have a fully equipped kitchen including coffee maker, cooking and eating utensils, dishes and glassware, dishwasher, microwave and refrigerator with icemaker. Marriott's luxurious new bedding package is available at this TownePlace Suites property. Only eight miles from Indianapolis International Airport, five miles from Downtown Indianapolis and Circle Center Mall. Guests enjoy a continental breakfast and plenty of parking. This Travelodge offers a continental breakfast, and a USA Today Newspaper. Several shops and chain restaurants nearby. Plenty of parking available. Central Indianas only conference facility that is a member of the International Association of Conference Centers, University Place, located on the campus of prestigious Indiana University-Purdue University combines a technologically sophisticated conference center with a 278-room, full service hotel. Ideally located in the heart of the city. The Westin Indianapolis is connected via covered sky-bridge to the Indiana Convention Center, RCA Dome and Circle Center Mall, which boasts hundreds of specialty shops, restaurants and attractions for any need. The hotel is within a short walk of Conseco Field house, Victory Field, The NCAA Hall of Champions and nearby to many of Indianapolis' most prestigious companies. The hotel is perfect for any size and type of group event or convention yet small enough to be intimate and romantic. Guests enjoy a hot breakfast buffet and 24-hour airport shuttle. Park and Fly rates are available. Minutes from downtown Indianapolis. A 24-hour business center is on site. Wireless and wired high speed internet access is available. At the Wingate Inn guests enjoy a complimentary breakfast buffet, high-speed internet access in room, a well-lit desk with chair, two-line desk phone, and television with remote control. Hotel amenities include a 24 hour complimentary business center, indoor pool, whirlpool, and fitness center. Conveniently located in Northern Indianapolis, at the intersection of I-465 and North Meridian (Route 31), only 12 miles from downtown Indianapolis. Just 25 miles from Indianapolis International Airport, convenient to the Carmel business district. The hotel features include an exercise room, meeting facilities, a bar and grill, high speed Internet access, laundry services, an indoor pool, and breakfast. National broadcast television affiliates include ABC affiliate WRTV (channel 6), CBS affiliate WISH (channel 8), NBC affiliate WTHR (channel 13), and FOX affiliate WXIN (channel 59). The Gross State Product in the state as of 2001 was $ 189.9 bil. The per capita personal income (2003) was $ 28.783. Among the various sectors of the economy in the state the Chief Industries are manufacturing, services, agriculture, government, wholesale and retail trade, transportation and public utilities. The Chief Manufacturing goods of the state are primary metals, transportation equipment, motor vehicles and equipments, industrial machinery and equipment, electronic and electric equipment. Major crops of the state are Corn, soybeans, nursery and green house products, vegetables, popcorn, fruit, hay, tobacco and mint. Important Livestock (January 2004): 830,000 cattle/calves; 45,000 sheep/lambs; (January 2003): 3.1 mil. Hogs/pigs; (December 2003): 28.9 mil. Chickens (excluding broilers). Whether for business or leisure, the city of Indianapolis is a destination for tourists. Tourism brings over 20 million visitors a year into the city, who spend about $3.5 billion, resulting in 66,621 full-time equivalent employment positions in the hospitality industry. Behind the efforts to advance Indianapolis tourism and economic growth is the Indianapolis Convention & Visitors Association (ICVA). The ICVA, a non-profit organization established in 1923, seeks to increase the number of visitors and their financial impact, expand positive perception of Indianapolis and positively influence the visitor experience. Indianapolis is the international headquarters of the pharmaceutical corporation Eli Lilly and Company, wireless distribution & logistics provider Brightpoint, health insurance provider Wellpoint, insurance company American United Life (OneAmerica), Republic Airways Holdings (including Chautauqua Airlines, Republic Airlines, and Shuttle America, real estate companies Simon Property Group & Hunt Construction Group, Finish Line, Inc., Duke Realty Corp. and Teleservices Direct. The U.S. headquarters of Roche Diagnostics, Thomson SA, Conseco, First Internet Bank of Indiana, Peerless Pump Company, Dow AgroSciences, Emmis Communications and Steak 'n Shake are also located in Indianapolis. Other major Indianapolis area employers include Clarian Health, Sallie Mae, Cook Group, Rolls Royce, Delta Faucet Company and General Motors. Indianapolis has also developed into a major logistics center. It is home to a FedEx hub and many major distribution centers for companies like Amazon.com, FoxConn, and numerous pharmaceutical distributors. Before Detroit came to dominate the American automobile industry, Indianapolis was also home to a number of carmakers, including American Motor Car Company, Parry Auto Company, and Premier Motor Manufacturing. In addition, Indianapolis hosted auto parts companies such as Prest-O-Lite, which provided acetylene generators for brass era headlights and acetylene gas starters. The National Association of Home Builders and Wells Fargo ranked Indianapolis the most affordable major housing market in the U.S. for the fourth quarter of 2008, and Forbes magazine ranked it the sixth-best city for jobs in 2008, based on a combined graded balance of perceived median household incomes, lack of unemployment, income growth, cost of living and job growth. However, in 2008, Indiana ranked 12th nationally in total home foreclosures and Indianapolis led the state. Thirty years in planning, Indianapolis recently completed building a new airport. The $1.1 billion project is the largest development initiative in the city's history. The new Indianapolis Airport covers 1,200,000 square feet (111,000 m2), with 40 gates, a 145,000 sq ft (13,500 m2) baggage processing area, a 73,000 sq ft (6,800 m2) baggage claim area, and Civic Plaza, a large pre-security gathering and concession space with a 60-foot (18 m) skylight, containing both local and national restaurants and retailers as well as local Indianapolis artwork. The new terminal is the first built since 9/11. It opened officially for arriving flights 11/11/08 and departures 11/12/08. Several interstates serve the Indianapolis area. Interstate 65 runs northwest to Gary, where other roads eventually take drivers to Chicago, and southward to Louisville, Kentucky. Interstate 69 runs northeast to Fort Wayne, Indiana, and terminates in the city at I-465. Interstate 70 follows the old National Road, running east to Columbus, Ohio and west to St. Louis, Missouri. Interstate 74 moves northwest towards Danville, Illinois, and southeast towards Cincinnati, Ohio. Finally, Interstate 465 circles Marion County and joins the aforementioned highways together. In 2002, the interstate segment connecting Interstate 465 to Interstate 65 on the northwest side of the city was redesignated Interstate 865 to reduce confusion. The Indianapolis area also has three other expressways; Sam Jones Expressway (old Airport Expressway), the new Airport Expressway, and Shadeland Avenue Expressway. Clarian Health operates a people mover connecting the Indiana University School of Medicine, Riley Hospital for Children, Wishard Hospital and IUPUI & Indiana University School of Medicine facilities at the north end of the Downtown Canal with Methodist Hospital. Plans for a larger system are being considered that would operate throughout downtown Indianapolis. The existing people mover is sometimes inaccurately described as a monorail, but in fact rides on dual concrete beams with the guideway as wide as the vehicle. Amtrak, the national passenger rail system, provides service to Indianapolis at the Indianapolis Union Station. Amtrak provides a thrice-weekly service of the Cardinal to Chicago, New York City, and Washington, D.C. and the daily Hoosier State to Chicago. Greyhound Lines also operates a terminal from Indianapolis Union Station downtown. The terminal is open 24 hours daily, 365 days a year. Indianapolis suffers from numerous transportation issues, such as a lack of sidewalks in suburban areas and a lack of adequate mass transit for a city its size. Plans are underway to build a commuter Light Rail System from Downtown Indianapolis to Fishers with 6 stops so far. Possibly a second line to the Indianapolis International Airport. The basketball film Hoosiers was set and filmed in various parts of the Indianapolis area. The city of Indianapolis is referred to twelve times in the movie Uncle Buck. A large segment of the film Eagle Eye takes place in Indianapolis. The first season of Good Morning Miss Bliss (later to become Saved by the Bell) was set in Indianapolis. The first season of Thunder Alley was set in Indianapolis. The American version of Men Behaving Badly was set in Indianapolis. In the television show Jericho, Indianapolis was one of 23 American cities destroyed by nuclear weapons. Interestingly enough, this fate also befalls the city in the Worldwar series of novels by Harry Turtledove. Indianapolis is featured in The Shift on the Investigation Discovery Channel, as cameras follow Indianapolis's homicide unit.